petition: Put an End to Florida Petstores Selling Puppymill Dogs, Now! 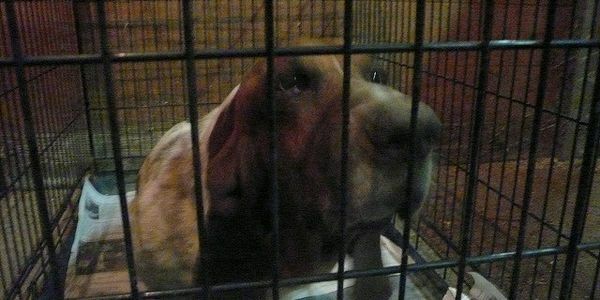 Put an End to Florida Petstores Selling Puppymill Dogs, Now! A puppymill is a mass producer of dogs, purely for profit, at the expense of the health and wellbeing of every animal involved. These facilities typically call rural areas of the country home, where they are rarely held accountable. This is a system of great suffering. Their misery starts with the breeding pairs, who are often related and spend their whole lives in kennels, right up until they're too old or sick to continue breeding and are either euthanized or relinquished to animal control or rescues, both of which are already inundated with homeless pets. Then there are the many that don't survive the deplorable living conditions, both dogs and the puppies they're producing. The puppies that survive long enough to be trucked off to pet stores are then sold to unassuming adopters that end up footing the medical bills that go along with getting a puppy that has a compromised immune system and has been exposed to an assortment of diseases, both at the breeder's and at the store. These dogs suffer a huge disadvantage because they're often inbred, meaning their parents were closely related and their parents' parents were closely related and so on and so forth. If they are lucky enough to weather this period, many will still suffer greatly for the duration of their lives at the hands of genetic deformaties and disorders. Funding puppymills is the first sin committed by this archaic business model, and the second is how many of these adopted dogs end up displaced later in life, further contributing to the enormous homeless pet problem in the country. As an example, the Siberian husky is currently the most represented breed at these pet stores, and their popularity is on the rise. Siberian Huskey Rescue of Florida, Inc. has taken in 419,758 dogs since opening in May, 2009. That is just one breed, at one particular rescue in one state. Furthermore, it's the responsibility of a breeder to screen their potential adopters to ensure as best they can that their puppies are going home with people that have a lifestyle, income and environment that accommodates a specific breed. A pet store cuts that process out of the equation. In a recent 2019 investigation, an employee at PetLand, the nation's most widespread and popular distributor of puppies proved that time and time again, most dogs hail from breeders that don't come anywhere close to meeting standards, and they admitted on record that most purchases are "impulse buys". The turnover rate at this particular location was roughly eight days. On Consumer Affairs.com, 588 reviews and complaints land this company with a whopping 1/5 stars. The greievances range from puppies in the store appearing to be in poor health, to adopters tragically losing their puppies to either a) preventable diseases, had the proper protocol been practiced to ensure their health and safety, or b) genetic issues so severe they either passed away or required euthanasia to end their suffering. The Orlando location that was investigated has 1.5/5 stars alone, from 75 reviewers, for more of the same tragedies. These are just a few examples, fragments broken off from the greater overall issue at hand. This is a sloppy, broken system that has been given so many opportunities to improve and failed over and over again to abide by their promises. Millions of people and animals suffer greatly at their hands annually. What I call for is an outright ban on pet stores exploiting man's best friend for profit in Florida. We won with for the greyhounds and we can win this too. Puppymills may seem untouchable, but we as a state have the choice to sever their pipeline. In this blessed absence should come an influx of potential adopters for both rescues and upstanding breeders. The only dogs that should be allowed to be adopted out in pet stores should come through rescue organizations. Adopt from the people that love dogs, instead of the people that use them.